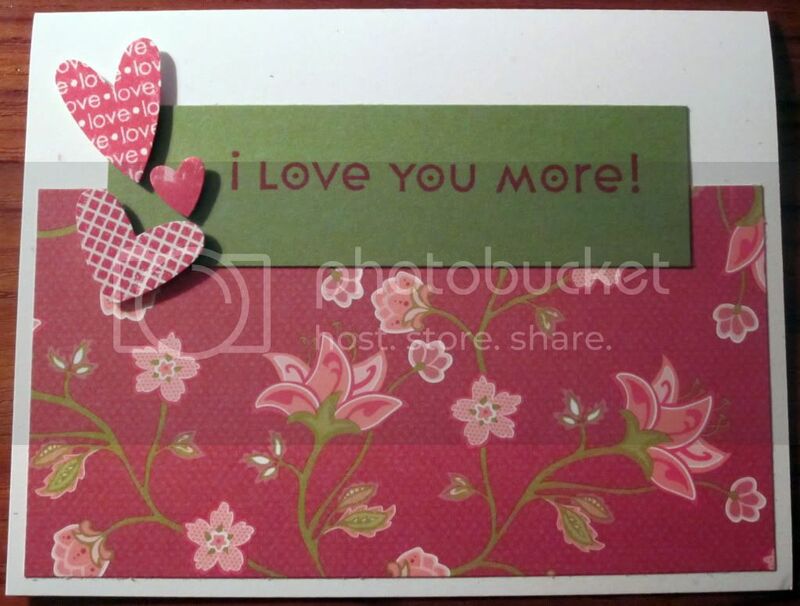 This weeks challenge at the Operation Write Home Stars & Stamps blog was to use patterned paper on your cards. I don't know about you, but it really screamed One Sheet Wonder!! to me... so I found a lonely sheet of 12x12" Designer Series Paper (this is from the retired Rasberry Tart pack) in my stash and got to cutting! 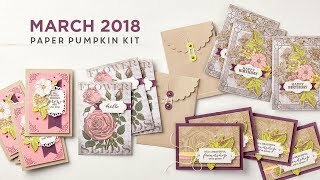 I was able to make 16 cards, 2 each of the 8 designs shown here, using 1 sheet of DSP and 1 sheet of coordinating 12x12" cardstock (Old Olive), and one 8.5 x 11" sheet of the white, & 16 of my card bases. I have a whole box of card bases waiting to be used up... I printed the back side of a ream of cardstock (250 sheets of a nice weight white card) with 2 of the OWH logos (one for horizontal and one for portrait cards), and then had it cut. Now I am all set whenever inspiration strikes! (and when I get thru this ream I will have made 500 cards!! :-) I'd really like to have made all 500 and sent them in by the end of the year. I think I may have to get some help, but with a nice dozen every other day or so I should meet my goal! 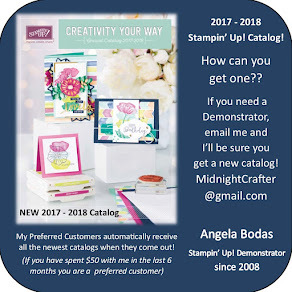 it is about 20 cards a week, or some very crafty weekends with friends... maybe a OWH Birthday Bash! I will keep you posted! 16 are Done! Pre-printing the stamp on back is a great idea. These are all great cards. 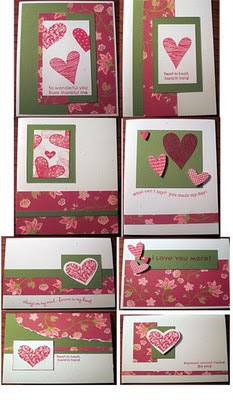 Love the cards....and I love that rose color wow! You are totally organized and I'm impressed! I love that you print these sheets with the OWH logo and have them ready to go! I love all the cards you made and all I can say is WOW! My hat's off to you for all you accomplish! Wow, your cards are wonderful! I like your idea of printing the backs of your cards and having them ready to go. Thanks for playing along with us at Operation Write Home! Very creative and what an awesome use of paper! I'll have to try it myself! I'm amazed by how many cards you made from that amount of paper! (Aaack--when I think of what I've wasted thru newbie mistakes.) You inspire me! very cute cards! love them all!